Vanilla and Chocolate cake with butter cream filling between layers for a 21 st Birthday Cake. The theme for the birthday was soft pink & purple colour. 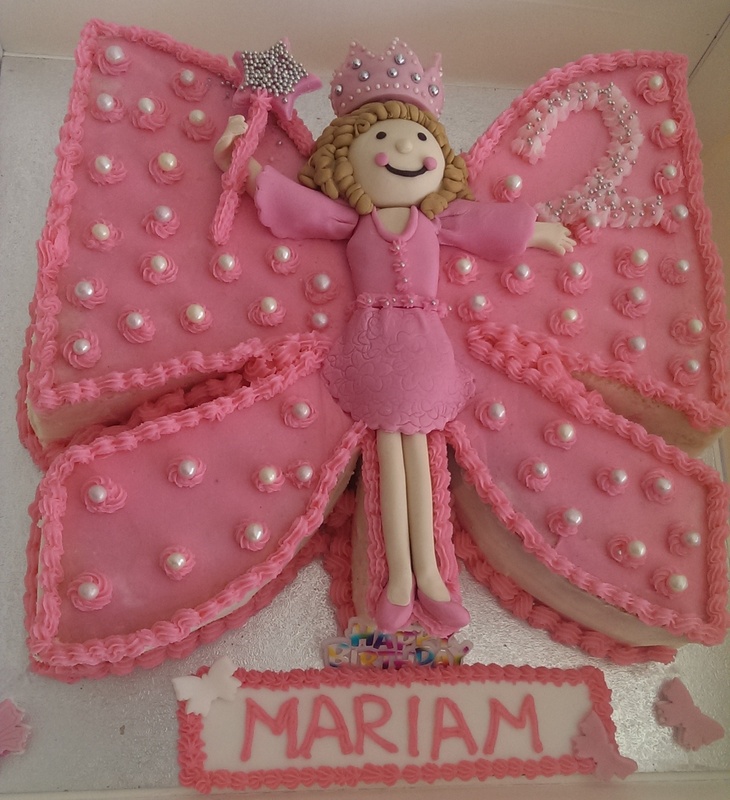 The cake is covered with pink butter cream icing & some designs are piped on to the cake. Cassi’s mom had a good picture of what is to go on the cake, but she gave me the freedom to decorate the way I feel that is best for this special cake. Hand made edible purple Frangipanis were placed to match with the colour theme. A square shaped white chocolate stand( which is coloured light soft pink) holds the name & the year. Stars were placed on wires behind the stand & non- edible purple ribbon & pink bow adds extra beauty to the cake. Thanks Amy. Birthday girl loved it. Tasted yummy too.